Maybe I’m a bit apprehensive to embrace any potential Cleveland stars, like a scorned lover after a bad break up. I won’t name names, but clearly we’ve had our share of busts that never lived up to their potential during their athletic career spent in Cleveland. There’s also a part of me that’s unsure how many athletes actually want to be in Cleveland. Apparently Bynum has us on his list, but I’ve heard of more than a few guys hoping to head somewhere warm, with a thriving nightlife. I had the pleasure of visiting Richardson’s ProCamp in Strongsville, getting to ask him a few questions, and scout the future talent of Northeast Ohio. 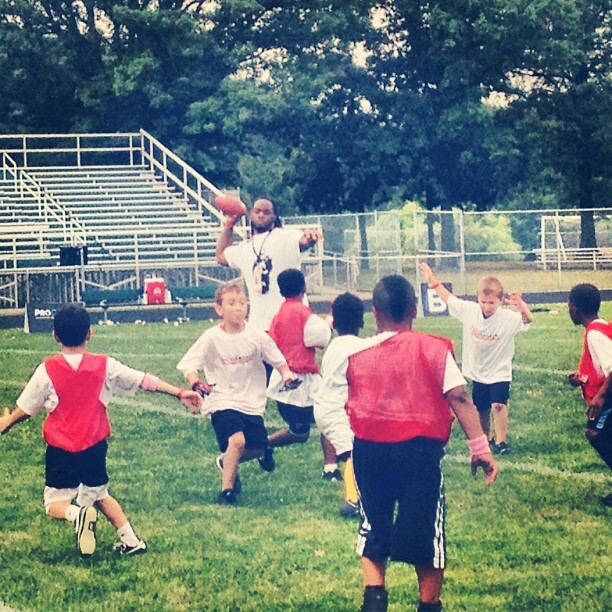 And by future talent…I mean the potential NFL draft class of 2022. Back when Trent was the age of these kids, he was an offensive linemen. “Nobody knows that,” he said with a laugh. As a single parent, his mom regularly worked 2-3 jobs to support their family. He and his brother were a handful, and his mother put them in sports to keep them out of trouble in their neighborhood. 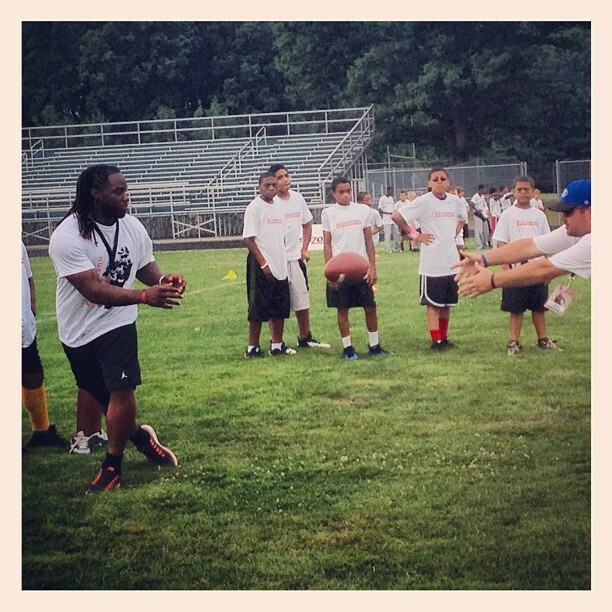 Many star athletes have camps, but Richardson actually ran drills with each and every camper. Over 200. Some athletes consider signing autographs, making appearances and speaking to be “giving back.” Trent is truly paying it forward. 1. This is a loyal, dedicated guy. When a kid asked him how felt during the draft, he candidly replied. This wasn’t during the media time; there wasn’t any formality to his response. He let it show that he honestly feels he will spend his entire career in Cleveland. Not just a few years. 2. He is family-focused. His mother is his role model. Most of his family is up here already. He has a full workout center at home so he can workout everyday while still being around his daughters. He’s not into going out and all that. And he’s only 21…many of us would still consider that he’s a “kid” himself (Further supports #1). 3. He is humble. 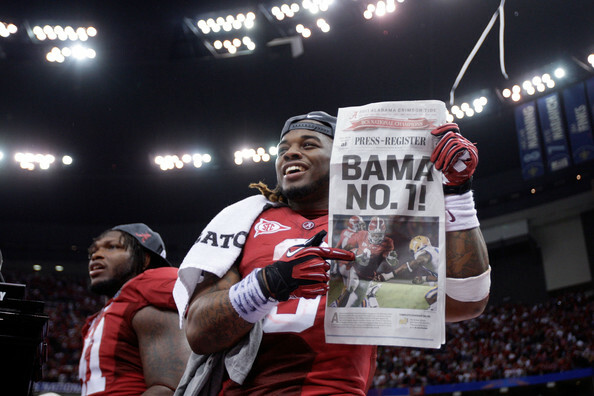 Richardson just won a national title, was the 3rd overall draft pick, and –especially when we get this deal done– T-Rich. You would never know that from talking to him. 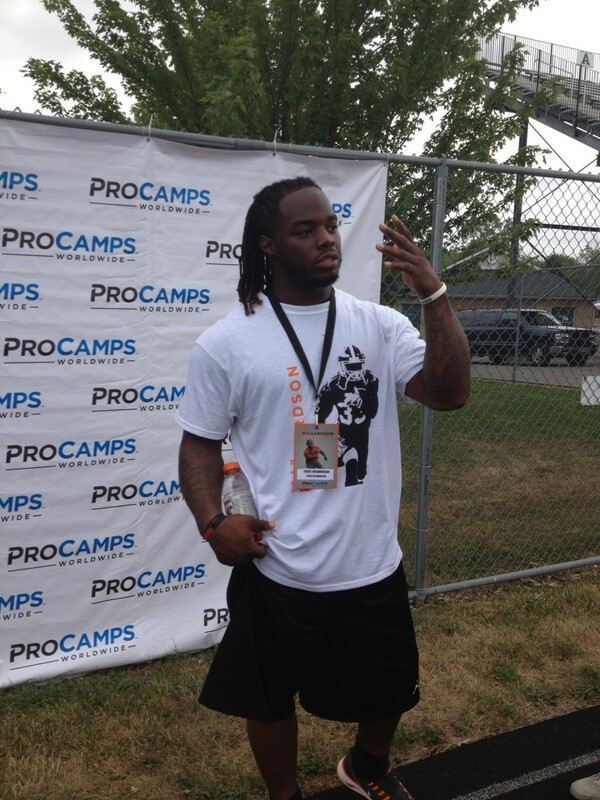 I spoke with a camp sponsor, who told me Trent is one of the most down-to-earth athletes they have ever had. Trent still remembers his 7th grade teacher telling him he’d never be anything, that he’d be a failure. I hope he keeps proving her wrong.